Jailhouse snitches are notoriously unreliable. In this country, they are a major contributor to wrongful convictions. That isn't stopping 10 News in Australia. 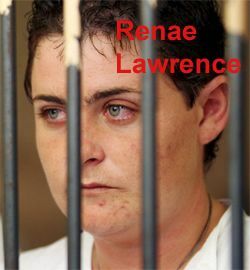 It's about to air a paid interview with Bali 9 inmate Renae Lawrence, doing 20 years (after narrowly avoiding the death penalty) for smuggling heroin into Bali with 8 other people. She had 2.5 kilos strapped to her body. Two of the nine are waiting for the executioner, and six are doing life. Update: Schapelle Corby has been released. She's in this photo with the black and white plaid head covering. Some video here. Here's a picture of the media scramble as she left. She was whisked into a prison bus, where she will be taken to the prosecutor's office to be processed, a 40 minute drive, and then to the Bali Corrections Board office, a thirty minute drive, where she'll be met by her parole officer and then released. Schappelle Corby will be released today from Bali's Keborkhan prison. The head of the prison said the release papers have arrived and she will definitely be leaving through the front door of the prison today. The media is out in force waiting at the prison door. More than 100 police officers are on hand to ensure her safety. 9 years, 4 months and 2 days. Update 1:50 a.m: Schapelle Corby has been granted parole. She could be released at any time -- as soon as the prison receives written confirmation. It most likely will be Monday. More here. Here's a live video of the press conference with translation. She will have to remain in Indonesia until 2017. This is interesting: Had she not asked for or been granted parole, she could have returned to Australia in 2015 as her sentence would have expired and there would be no requirement of supervision. Update 1:45 am: More media confirm parole was granted at what sounds like one of the most confusing press conferences ever. After 9 long years in Bali's notorious Kerobokan Prison, Australian Schapelle Corby is likely to be released on parole on Friday. She will have to remain in Indonesia while on parole for 3 years. She'll live with her sister. Her case was heard last week, and Prison Minister Akbar Hadi Prabowo is said to have approved. The final decision belongs to Justice Minister Amir Syamsuddin, who has previously said he does not object. “Some 1,700 inmates will be paroled, and Corby is indeed one of them,” Justice Minister Amir Syamsuddin said in Jakarta. He added that the letter authorizing Corby’s release would be signed within the next three days, after which she could leave Kerobokan Penitentiary in Bali. 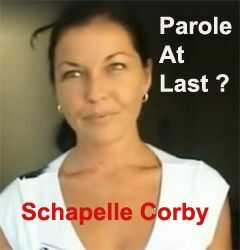 Schapelle was approved for parole by the Bali Parole board last August. She became eligible for parole in 2012. The delays and bureaucratic wrangling are finally ending. All of our coverage of her case since 2005 is available here. Schapelle was convicted of bringing 4 kilos of marijuana into Indonesia. She has always maintained her innocence. 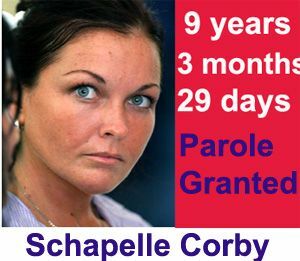 The Bali Corrections Board approved Schapelle Corby for parole Friday. The remaining paperwork could take a few months, and while not a guarantee, it seems she will be released. She has to remain in Indonesia until a year after her sentence expires in 2015, and will live with her sister Mercedes. In March, the Australian Government gave Indonesia a guarantee she would not not violate parole. Indonesia President Susilo Bambang Yudhoyono granted Schapelle Corby clemency this week by cutting five years off her 20 year sentence. What does it mean? The latest her sentence will now end is September, 2017. Please visit The Mercy Campaign. Today's news in Indonesia and Australia focuses on the abysmal conditions described in a book "The Kerobokan Hotel." The book describes Kerobokan Prison as a hellhole. The evacuation of Kerobokan Prison is not going according to plan. Consular officials met with the foreign prisoners, and most, including Schapelle Corby and 8 of the Bali 9, don't want to leave and be relocated. They said adapting to new surroundings would be too difficult. Officials didn't want to remove them against their will. Bali 9 inmate Scott Rush, serving life, is one who did want to leave and was seen leaving in one of the buses, only later to return. The Jakarta Globe says those leaving are being transferred to Bali’s Karangasem penitentiary. Earlier, authorities said they would be moved to Klungkung. Yet other officials say the prisoners will go to Porong prison, just south of Surabaya. Update: The evacuation of the foreign prisoners has been delayed as police negotiate with the ringleaders of the riot. Why? Sounds like they can't get past the Indonesian prisoners to get the others out -- or that some of the foreign prisoners have already been taken hostage. The riots Tuesday night at Kerobokan prison in Bali continued into Wednesday, as prisoners retook control. There has been no electricity and major parts of the prison are burned out. More than 400 military troops are now gathered outside the prison. At 2 pm local time (11 pm MT, ) they had planned to go in and remove all 1,015 inmates. Authorities say Schapelle Corby and the other Australians serving drug sentences in Kerobakan Prison are safe, following a night of riots by prisoners that resulted in multiple fires and guards abandoning the prison. The riot broke out about 11pm on Tuesday, with prisoners trashing cells and throwing stones at the guards who were forced to retreat to the street outside the overcrowded jail which houses more than 1000 male and female inmates. 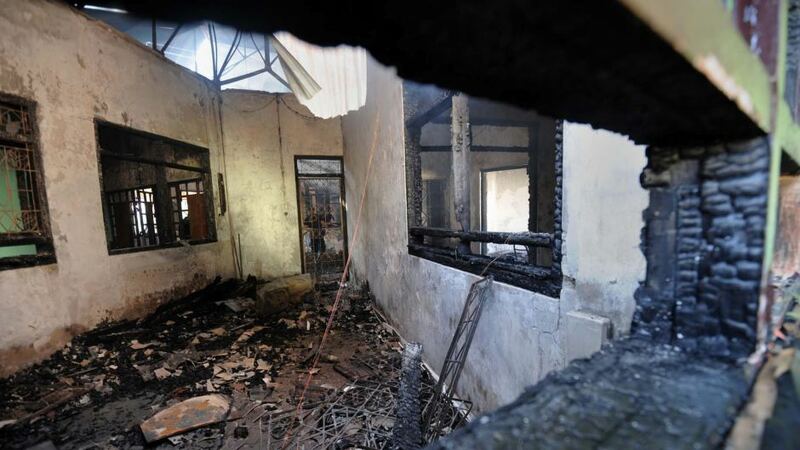 Some prisoners were then able to gain access to the registration wing of the jail, within metres of the entrance to the facility, where they set offices and furniture alight. Expendable has been released. You can watch it here. It tells the story of Schapelle Corby, the young Australian woman en route to a vacation in Bali, sentenced to 20 years in a Bali prison when 4 kilos of marijuana were found in her boogie board. Schapelle has always maintained her innocence and her incarceration has resulted in severe mental illness. How a government wilfully withheld vital evidence from a court of law, deceived its public, orchestrated an unprecedented media campaign, and ruthlessly deployed its organs of state against one of its own citizens. This is a frightening but entirely true narrative; a grotesque political horror story which is still unfolding today. It exposes what happens when an individual’s human rights conflict with strategic political need. This will be a special point against her [getting future sentence cuts] and I will report it to the Australian Consulate,” he said. “She has failed to meet all the requirements for a remission.” He also said he would report her to the Justice and Human Rights Ministry, which oversees the Directorate General of Corrections. Paris Hilton is tweeting up a storm about how much she loves Bali. It's her first visit. She tweeted a few hours ago, "Make a wish. 11.1l.11"
New Book on Schapelle Corby : Another Smear Campaign? Don't fall for the new book on Australian Schapelle Corby, sentenced to 20 years in an Indonesian prison for bringing 4 kilos of pot into Bali. The book claims Schapelle's now deceased father put the pot in her boogie board . The Expendable Project has released "The Transit Report" with previously unreleased documents and new evidence, about Schapelle Corby, who continues to languish in an Indonesian prison due to a 20 year sentence for importing 4.2 kilos of marijuana into Bali, a charge she has always vehemently denied.